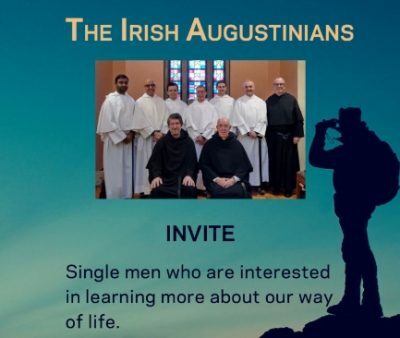 Single men who are interested in learning more about our way of life. This day is for families (adults) of people in addiction, including family members in recovery. It will focus on helping all members to understand addiction and how it impacts on a family. 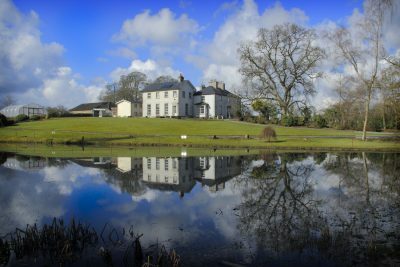 We will seek to explain how family members adopt coping mechanisms in order to absorb the impact of the addiction on the family and explore new ways of managing the addiction. Throughout the day there will be an emphasis on the spiritual dimension both to addiction and to the solutions. Mick Devine MA is a therapist and has been an addiction treatment practitioner for over 20 years. He is the Clinical Director at a leading addiction treatment agency based in Cork. He has a particular interest in the role of the spirituality of the Twelve Steps of Alcoholics Anonymous in the treatment of addicted persons. Numbers limited. Booking essential. Light lunch included. The Miracle of Life. An Invitation to walk with God In self-Discovery within the Mystery of the Unfolding Universe. The retreat will be a journey of exploration. Who am I? Where did I come from?Where are we going? What is the meaning of Life? Walk in the footsteps of the Celtic mystics and saints and allow their spirit of courage and trust give you strength and healing. musicians, singers, dancers and storytellers. Hilary Musgrave and Monica Brown will facilitate this 10 day pilgrimage that will take you to Glendalough, Newgrange, The Boyne Valley, The Hill of Slane, Jerpoint Abbey, St Brigid’s Centre Kildare Town, Kilkenny City and County Carlow, visiting ancient ruins and old burial sites, high crosses, holy wells, medieval cities and sacred places. Through music, song, story and myth, imagery and scripture – storytelling, Hilary and Monica will invite you to listen to your own story in this Celtic Landscape where you can come home to yourself and to your God. Accompanying us on the journey through the Celtic Landscape will be Irish story tellers, Celtic singers, historians and Irish dancers. Venue: Based in Teach Bhride Education and Spirituality Centre, Tullow, Co. Carlow. 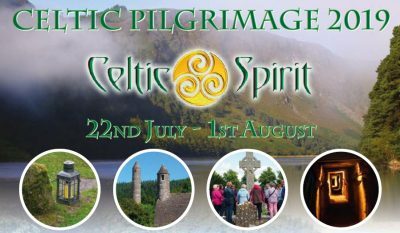 Cost: From €1,850 (Euro) …Cost includes: courtesy coach from Dublin city centre – to and from venue – accommodation and all meals; all pilgrimage travel; entrance fees to sites and presenters fees.